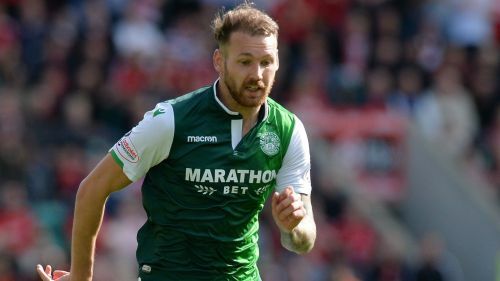 Hibernian winger Martin Boyle and Melbourne Victory's Thomas Deng are among four debutants included in Australia's squad ahead of their international friendly against Kuwait. Socceroos head coach Graham Arnold named an initial 25-man squad for next week's training camp in the United Arab Emirates and the country's friendly against Kuwait on October 15. Arnold – preparing for his first match in charge of the Socceroos – selected four debutants, including defender Boyle, Deng, PEC Zwolle loanee Denis Genreau and Midtjylland's Awer Mabil. Boyle, however, will only travel to the UAE for the training camp as the 25-year-old Scottish-born winger waits on his international clearance. The Socceroos squad included 21 players that were involved in September's training camp in Turkey, while Hertha Berlin star Mathew Leckie and Celtic's Tom Rogic are also in the fold having missed the camp. "We believe we have selected a well-balanced squad to travel to the UAE and on to Kuwait City for our October camp," said Arnold, who will be without Mile Jedinak following his international retirement. "This group will have the opportunity to build upon the standards and principles of play that we established in Antalya, and crucially have the chance to implement the new style that we are working towards in an international match situation when we play Kuwait. "While some players have missed out on this camp, they, along with many other players globally, remain firmly on our radar as we work towards selecting the best possible squad to help us excel at next year’s AFC Asian Cup."